As I wrote a few days ago I got a license to deliver new CAL – Certified Agile Leadership class certified by Scrum Alliance. The training is focused on building a modern Agile Organization and to support personal growth of Agile leaders, emphasizes the right culture of the self-organization, ownership, and responsibility while keeping safety and trust as a prerequisite. Agile leadership is one of the critical aspects of every successful Agile transformation in any organization. Mark a date in your calendar for September 14-15, 2017 (right after the Agile Prague Conference 2017, and make a registration fast to secure your place. If you book your seat until August 14, 2017, you are eligible for ear bird price. We also offer an interesting combo with Agile Prague Conference 2017. The class is going to be in Prague, the Czech Republic, the exact location is still to be confirmed. 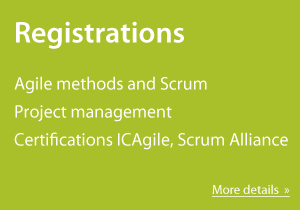 As this class is part of Agile Prague Conference workshops, it's going to be in English. If you have any questions, feel free to contact me.